The Unruly Boss won’t give his enemies a chance to take his life so he never touched the streets without his Killy and his strap. 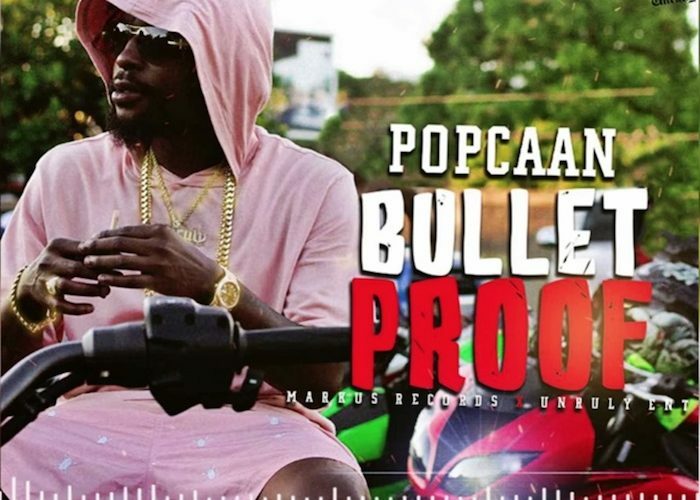 “Bulletproof was produced by Markus Records and Unruly Entertainment. “Them fi know say them naan go ever get the chance / Fi set me up like Mandela / Envious people and crab in a barrel them open up your head like umbrella,” Popcaan deejay. 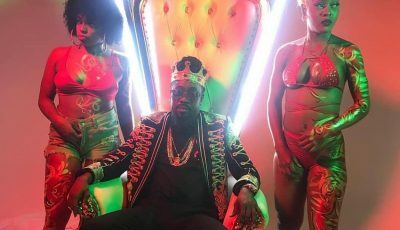 The Unruly leader gets trolled today on social media for a clip of him appearing in an upcoming reality TV show, D Island Girls. Vybz Kartel fans accused him of trying to copy the incarcerated deejay’s former reality show Teacha’s Pet. Perhaps this is Popcaan’s way of responding to his critics, drop a hit song. “Real Killy no sell out we no seller / Watch the informer mouth them a teller / That’s why mi pare wid some real real thugs like Skully and Shella / Some boy them hear dirty,” Poppy spits.